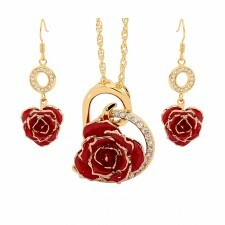 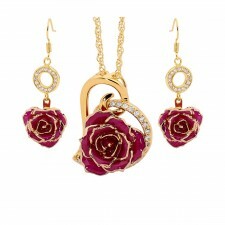 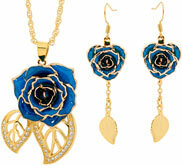 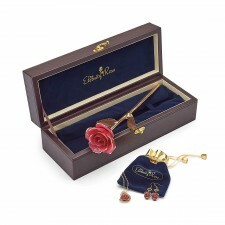 This is a delightfully romantic matched gift set that includes a glazed red natural rose, along with a pendant and earrings also made from natural red rose petals and 24 karat gold. 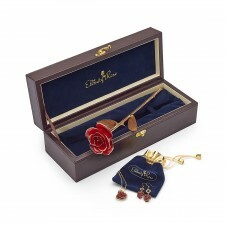 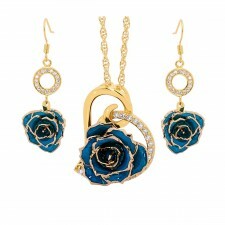 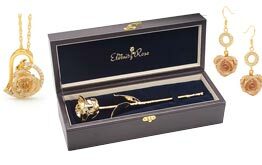 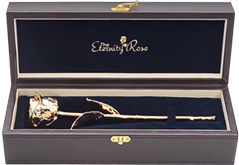 This is a delightfully romantic matched gift set that includes a glazed white natural rose, along with a pendant and earrings also made from natural white rose petals and 24 karat gold. 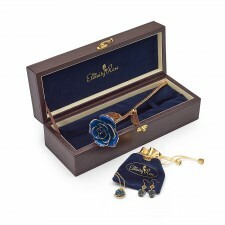 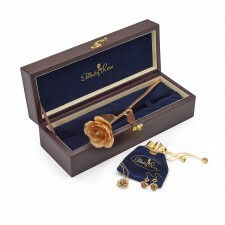 This is a delightfully romantic matched gift set that includes a glazed purple natural rose, along with a pendant and earrings also made from natural purple rose petals and 24 karat gold. 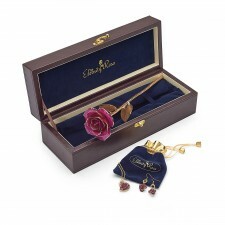 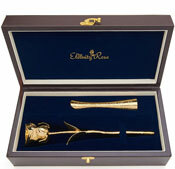 This is a delightfully romantic matched gift set that includes a glazed pink natural rose, along with a pendant and earrings also made from natural pink rose petals and 24 karat gold.